With demand for workers exceeding supply and keeping skilled worker an ongoing challenge, businesses must examine their retention strategies. In response, employers are crafting new work environments that respond to employees personal and family needs as well as their career needs. Attuned employers are providing quirky perks on top of more traditional benefits to keep their talented workers happy and productive and to attract new workers. Re-think hiring requirements- Most turnover is due to issues of chemistry or fit within an organization. Employers are quickly adopting the strategy of hire for traits, train for skill. Build buy-in- “Buy-in” from all levels of an organization is essential for the implementation of successful retention strategies. Clear and visible change efforts with emphasis on short-term results will build the credibility needed to sustain the effort over the long haul. Maintain high standards- Maintaining high standards should not be confused with enforcing rigid job requirements. Many companies find that unduly strict screening requirements actually eliminate good employees while letting in sub par employees. Employers need to review their hiring criteria to ensure that they are not omitting potentially excellent employees due to requirements that have little or nothing to do with the job at hand. Use public/private partnerships- Whether small or large, companies have realized that to succeed in retaining workers, it is valuable to use all available resources, including those in the surrounding community. A critical element to retention is long-term support for employees on issues, including child care, transportation and counseling-support that can be offered in conjunction with community-based partners. Build in continuous training programs- Rather than throw new employees into several weeks of job specific training right away, provide them with basic training at the outset. As they build experience with the company, you can then offer further training in recognition of their growth. Employees are taking ownership of their careers and recognize the need to be continuous learners. The more easily accessible and relevant training you can offer, the greater the likelihood that turnover rates will decline. Pay competitively and provide benefits- Employees expect more than a pay raise and traditional benefits; they appreciate flexible work arrangements assistance with personal and family needs, recognition for a job well done, appropriate training and opportunities to advance. Efforts to define career paths and helping employees understand what skills, knowledge and experience they need to advance to a certain goal or position will promote individual and organizational success. Incorporate a mentoring program- Mentor (men’ter), n. a faithful and wise guide, teacher or coach Formal or informal, the mentor/protégé relationship can provide new employees with opportunities to learn first-hand from seasoned, successful staff. Mentors and protégé develop trusting relationships that enhance the work experience and help protégé develop professionally. Listen; be flexible and supportive- As the workforce becomes increasingly diverse, the key to attracting and retaining skilled workers from different backgrounds, generations and needs clearly is flexibility. To come up with the right mix of benefits, employers are making a greater effort to listen to employees concerns. Input from surveys and focus groups is extremely valuable in crafting responses to employee needs. Needs of employees are always changing; issues change as the diversity of the workforce evolves. Regardless of the reasons for excessive turnover, employers who put effective retention strategies into place report higher employee job satisfaction, better job performance and better profits. Here are some examples of innovative companies that have been successful in creating new programs. All the successful hiring and all the specific training in the world wont significantly improve the employment situation if employees leave the job before the company’s investment in their employment is met. Employers can access a range of incentives already in place to help their employees stay on the job. You can order tax forms, instructions and publications from the IRS by mail, telephone and fax or via the Internet. If you are interested in providing your employees the benefit of increased take-home pay at virtually no cost to your business, the Internal Revenue Service has a program called the Advanced Earned Income Tax Credit that does just that. EMPLOYEES CAN GET EXTRA MONEY IN THEIR PAYCHECKS RATHER THAN HAVING TO WAIT UNTIL THEY FILE THEIR TAX RETURNS. This is how it works: you make the advance payments to your employees from the employment taxes you would normally deposit or send to the IRS. The amount is paid to the employees with no income tax withheld. You then claim the amount as a timely payment on your quarterly employment tax form (Form 941). Signing up for the Advance EITC is easy. Simply include Form W-5, (Earned Income Tax Credit Certificate) in the package of hiring documents for new employees to sign. You do not have to send the Form W-5 to the IRS; keep the form in the employee file. The Dependant Care Assistance Program (DCAP) offers a child care benefit that employers can choose to make available to their employees. DCAP allows employees to set aside $5,000 of pre-tax earning to pay child care expenses for children under 13. The amount withheld is not subject to federal, state, and social security taxes. DCAP helps employees and employers save money. Employees save money by taking advantage of DCAP Since their withholdings reduce their taxable income. Employers save money since they do not pay social security taxes on the amount withheld. To set up a DCAP program for your employees as a part of your employee benefits package, contact your accountant to set up the withholding program. You must report all dependant care assistance provided to an employee during the year in box 10 of the employees Form W-2. A cafeteria plan is a written plan that allows your employees to choose between receiving cash or certain qualified benefits. It includes major medical insurance, disability income plan, accident plan, major medical supplement, cancer plan and group term life insurance. The term “cafeteria plan” is a descriptive term which has evolved because such plans offer employees a list (or the “menu”) of employee-paid benefits from which the employee may choose. You can deduct the cost of the benefits provided under a cafeteria plan on the employee benefit programs line on your business income tax return. The Massachusetts Economic Development Incentive Program helps companies in designated Economic Target Areas (ETAs) retain employees by providing financial incentives. Advantages to business expanding, relocating or building new facilities and creating new permanent full-time jobs within an ETA are: 1) State tax incentives including a 5% Investment Tax Credit for qualifying tangible, depreciable assets and a 10% Abandoned Building Tax Deduction; 2) Municipal property tax incentives including a special tax assessment and tax increment financing. For more information contact the Economic Assistance Coordinating Council, (617) 973-8538. Dependant Care Assessment: Identifies the impact of child care and elder care issues in the workplace. Consultation and Referral Services: Guides employees in making informed choices in arranging and selecting childcare, adoption programs, and elder care. Corporate referral specialists: Help employees become quality conscious consumers. Family Education and Support: Benefits individuals by providing practical information about their caregiver role. For more information about childcare programs that can benefit employers, please contact Home Health & Child Care, 15 Jonathan Drive #5, Brockton, MA 02301, (508) 588-6070 x 107. 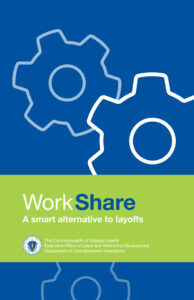 The Massachusetts Access to Jobs initiative is a collaborative effort between the Executive Office of Transportation and Construction (EOTC) and the Department of Transitional Assistance (DTA). Through Access to Jobs, the Brockton Area Transit Authority, along with the Massachusetts Bay Transportation Authority and 11 other regional transit authorities, are receiving funds. The program provides a coordinated system of information, transportation problem solving, training on how to access the system, and transportation services to DTA client who are making a transition into the workplace. Access to Jobs provides solutions that help current and former DTA clients make a smooth transition to work. Some of the options available include transit passes for fixed routes, ride share arrangements, a car ownership program, subsidies for car repairs, and taxi rides on a temporary basis. The Massachusetts Access to Jobs program has won the American Public Transit Associations 1999 Access to Work Award, for demonstrated leadership in providing the transportation link between current and former welfare recipients and available jobs in their communities. For more information, please contact the Brockton Area Private Industry Council, (508) 584-9800. The Brockton Housing Authority is a state-chartered real estate management and development corporation whose purpose is to manage, develop and deliver affordable housing opportunities to low and moderate income people. Their primary responsibility is to create opportunities for people to live in clean, safe, and affordable housing. For more information, please contact Brockton Housing Authority, 45 Goddard Road, P.O. Box 7070, Brockton, MA 02301-7070, (508) 588-6880. Small businesses and their employees can gain access to more affordable health insurance through the Insurance Partnership. Under this program, small businesses that provide health insurance to their qualified employees can have part of their costs paid for by the Commonwealth of Massachusetts. The Insurance Partnership can reduce an employers health insurance casts by up to $1,000 a year for each qualified employee. To qualify for the Insurance Partnership, businesses must meet the following criteria: 1) employ fewer than 50 full-time workers; 2) offer comprehensive health insurance to their employees; 3) pay at least 50% of the cost of health insurance. Self-employed individuals may also qualify if they meet income guidelines. For more information, please contact Employee Benefit Resources, 354 Turnpike Street, Suite 204, Canton, MA 02021, (800) 399-8285 or Interlink Business Services, (800) 487-4427. This website is designed to help resolve workplace problems. It has been proven that misunderstanding and lack of communication can cause most problems between employee and employer. This site provides you with practical ideas on how to address issues, concerns and conflict in the workplace. if you would like to access information on the welfare-to-work initiative, its policies and technical assistance resources, this website offers vast information on 75 to 80of its programs. Its database contains information on organizations, best practices, management issues and research. The Society for Human Resource Management (SHRM) is the largest human resource management association in the world. This website provides information on conferences, seminars, government and media representation, among others. The main menu offers an extensive selection of topics, with features such as: HR News, Professional Development, Government Affairs and links on publications that will assist you in solving issues on hiring and retention. To post a job, visit our Job Furm page.